S/Sgt. 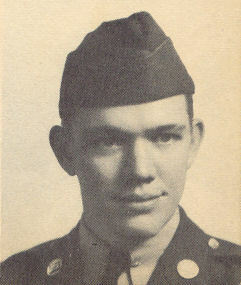 Sidney M. Landrum, son of Mr. and Mrs. A. Landrum, graduated from Victory High School; husband of the former Oleta Hoover. Entered Army in Aug., 1941, traind in Jefferson Brks., Mo., Ft. Sam Houston, San Angelo, Sweetwater, Waco and Midland, Texas where he is now on duty.